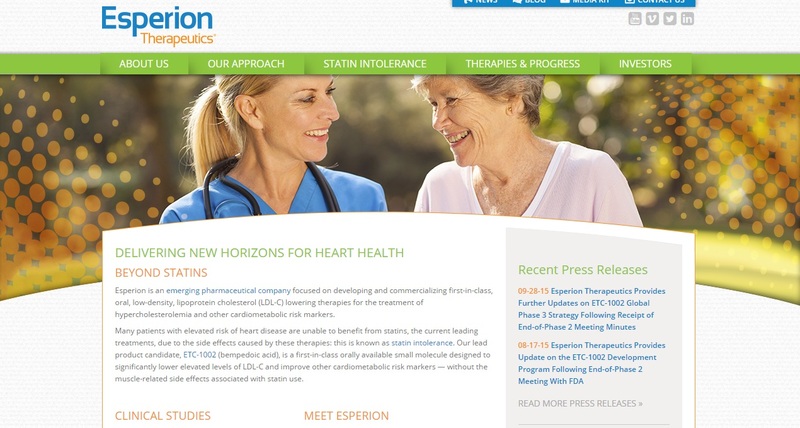 ANN ARBOR — Esperion Therapeutics Inc. (Nasdaq: ESPR) reported completing enrollment of a new Phase 3 study of about 2,000 patients testing its drug candidate bempedoic acid to treat high cholesterol. 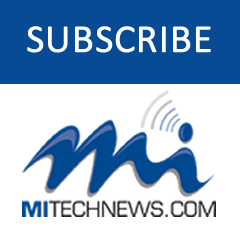 The trial will test the drug’s safety and tolerability in treating patients at high risk of cardiovascular disease whose low-density lipopritein-C, the so-called bad cholesterol, is not adequately controlled with current lipid-modifying therapies. Top-line results from this study are expected by June 2018. The 52-week global randomized, double-blind, placebo-controlled study enrolled patients at approximately 100 sites in the United States, Canada and Europe. The primary objective is to assess the safety and tolerability of patients treated with bempedoic acid for 52 weeks. Secondary objectives include assessing the LDL-C lowering efficacy of bempedoic acid on top of maximally tolerated statin and other lipid altering therapies at 12, 24 and 52 weeks versus placebo. Effects on other risk markers, including non-high-density lipoprotein cholesterol (non-HDL-C), total cholesterol, apolipoprotein B (apoB) and high sensitivity C-reactive protein (hsCRP), will also be evaluated. Bempedoic acid reduces cholesterol biosynthesis and lowers elevated levels of LDL-C by up-regulating the LDL receptor, but with reduced potential for muscle-related side effects generated in some people by today’s statin drugs. Completed Phase 1 and 2 studies in more than 800 patients treated with bempedoic acid have produced clinically relevant LDL-C lowering results of up to 30 percent as stand-alone therapy, approximately 50 percent in combination with ezetimibe, and an incremental 20+ percent when added to stable statin therapy.